At Campbells we like to think of ourselves as specialists when it comes to Scottish delicacies. Which is why we have perfected our own black pudding recipe. 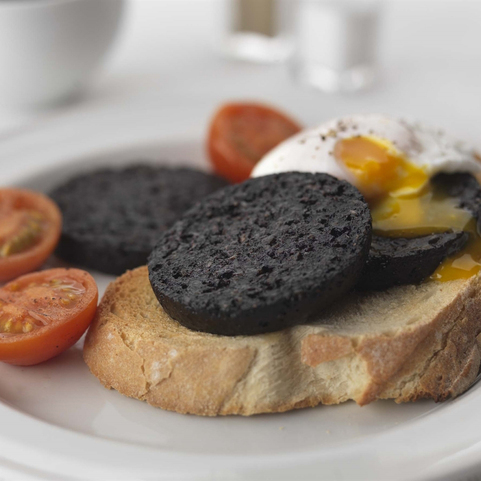 After all, no full breakfast is complete with a slice or two of black pudding! Our homemade fresh Black Pudding is available for you to buy in our online store today. We also stock fresh Stornoway Black Pudding which is produced by a small family run firm called Charles MacLeod in the Ilse of Lewis. 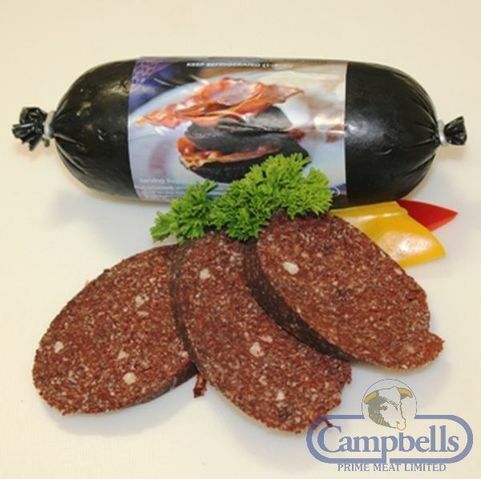 Campbells homemade black pudding is rich and smooth with a hint of cinnamon and nutmeg aroma and a spicy after taste. It also has a soft and crumbly texture with visual flecks of oatmeal, but holds together well without being greasy. 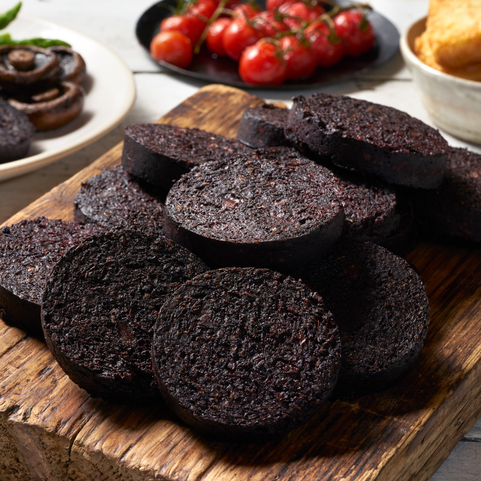 Traditionally a fried breakfast dish, black pudding also makes for a great starter dish or tasty accompaniment to main meals. Our own homemade black pudding is made on site at our Linlithgow premises. Campbell Online butchers are specialists in Scottish delicacies, and we guarantee that whatever you order from us will be delivered fresh. Try our family recipe black pudding with Scottish oats. Order fresh black pudding online today and have it delivered direct to your door.